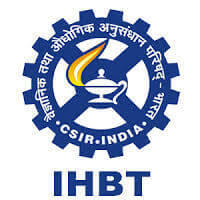 IHBT Recruitment 2018 – CSIR-Institute of Himalayan Bioresource Technology (IHBT) scheduled walk-in-interview for Junior Research Fellow/Junior Project Fellow & Project Assistant Level I & II vacancies. The detailed eligibility and application process are given below. Master Degree in Biotechnology / any branch of Biological Sciences with 55% marks and CSIR/UGC-N ET-LS/GATE / ARS- NET qualified. Master degree in any branch of Life Sciences / Biotechnology / Molecular Biology with 55% marks. Master degree in Biotechnology / Life Sciences with 55% marks. M.Sc. in Agriculture / Horticulture /Forestry /Environmental Sciences / Life Sciences with 55% marks. Note: Result awaited candidates are not eligible for interview. Project Assistant Level II: Below 30 years. 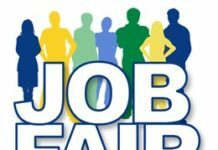 The selection process will be based on Interview or Written test followed by Interview. 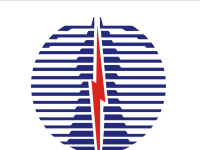 How to apply for IHBT Recruitment 2019 for JRF/PA? All interested and eligible candidates can attend walk-in-interview along with required documents at the following venue on 30 April 2019. Documents Required: Eligible candidates may appear Interview along with an application on prescribed format which is available on the CSIR-IHBT website www.ihbt.res.in along with attested photocopies of their testimonials of age, educational qualifications, experience, reserved category etc. at the time of interview. M.Sc. in Agriculture /Horticulture/ Medicinal and Aromatic Plants /Botany / Life Science/ Biotechnology / Plant Physiology with 55% marks. M.Sc. in Botany / Forestry / Agriculture /Horticulture / Environmental Science / Life Science with 55% marks and CSIR/UGC-NET- LS/GATE qualified. M.Sc. in Botany / Forestry / Agriculture /Horticulture / Environmental Science / Life Science with 55% marks. Bachelor of Science with 55% marks. B.Sc. / B. Pharma. with 55% marks. All interested and eligible candidates can attend walk-in-interview along with required documents at the following venue on 16 April 2019.